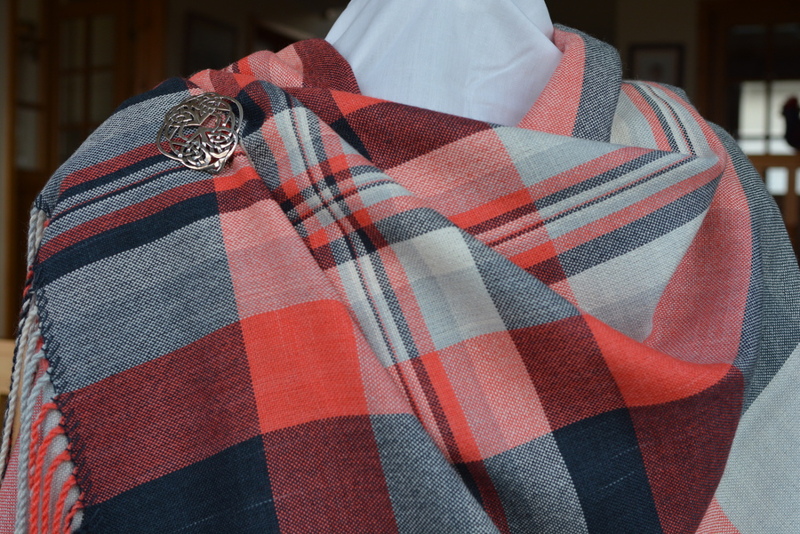 A large wrap, made from a blend of Royal baby alpaca (70%), silk (20%) and cashmere (10%). Hand dyed in red, black and grey. A plain weave where the size of the colour blocks are based upon the Fibonacci sequence. One of three, each with an individual colour sequence.